Assistant Professor in the Department of Radiation Oncology and the Director of Physics Education. Dr. Jean-Pierre Bissonnette is an Assistant Professor in the Department of Radiation Oncology and the Director of Physics Education. He has received his M.Sc. in Medical Radiation Physics from McGill University in 1991 and his Ph.D. from the University of Western Ontario in 1996. He is a Member of the Canadian College of Physicists in Medicine. 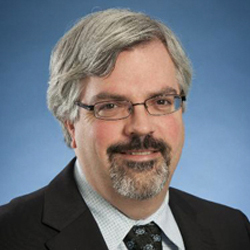 His academic and clinical interests include megavoltage imaging, image-guided radiation therapy, extracranial radiosurgery, 4DCT and 4DPET imaging applications for adaptive radiation therapy of the lung and monitoring of response to therapy, quality assurance, error elimination, and improving safety of the clinical processes.